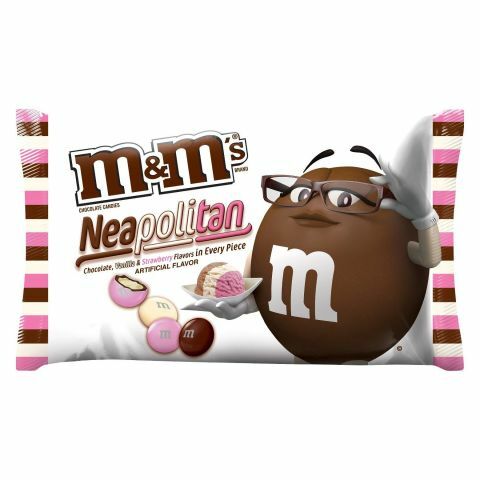 Better late than never ever: Roughly six months after Australia got its first taste of Neapolitan M&M’s, the taste has made its method stateside. The pastel-colored candies are Target’s special taste for spring– and according to bloggers, they taste simply like the half-gallons of ice cream your pal’s ultra-practical mommy served at birthday parties growing up. They really do taste like ice cream; they each have a distinct taste.” Likewise, Instagrammer @ViewFromTheFood stated it tasted simply like you ‘d believe, including that even the chocolate range didn’t taste like plain M&M’s– it tasted more like chocolate ice cream. , vanilla, and strawberry tastes in every piece, “so you don’t have to rummage around to get the complete trifecta in a single bite. Like last year’s Triple Chocolate M&M s, this one has layers of cocoa, so when you bite into the candy, it appears like you’re looking into Willy Wonka’s analysis of the layers of the Earth. Target’s only selling the taste for a limited time, and it ought to be striking shops now. You can discover it in the Easter sweet area, along with other store exclusives, like Reese’s Golden Eggs and Dove French Vanilla White Chocolate Bunnies.